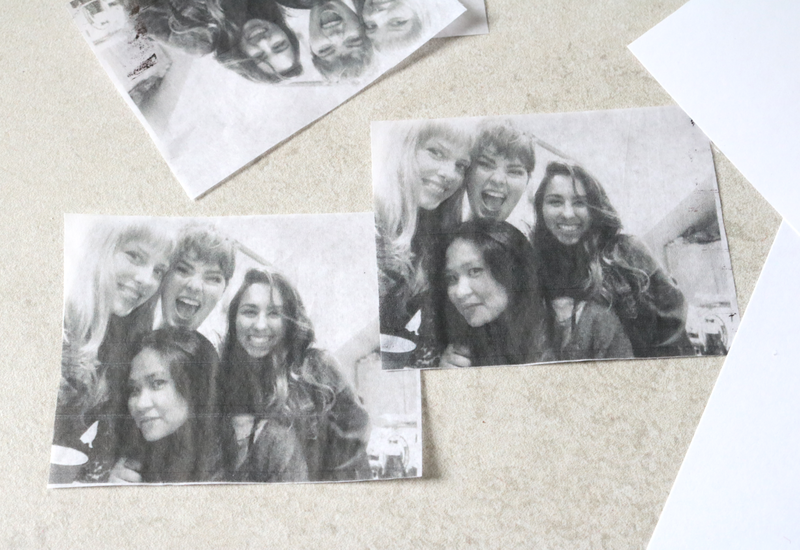 Growing up, I loved the idea of capturing a moment in a printed photo. But as I’ve gotten older (and as the digital world became a thing), I’ve been limiting the amount of physical pictures in my life. It’s less clutter, honestly. Instead, I try to stick to scrap books and other crafts with a purpose. Think photograph coasters, picture note pads, and bookmarks. 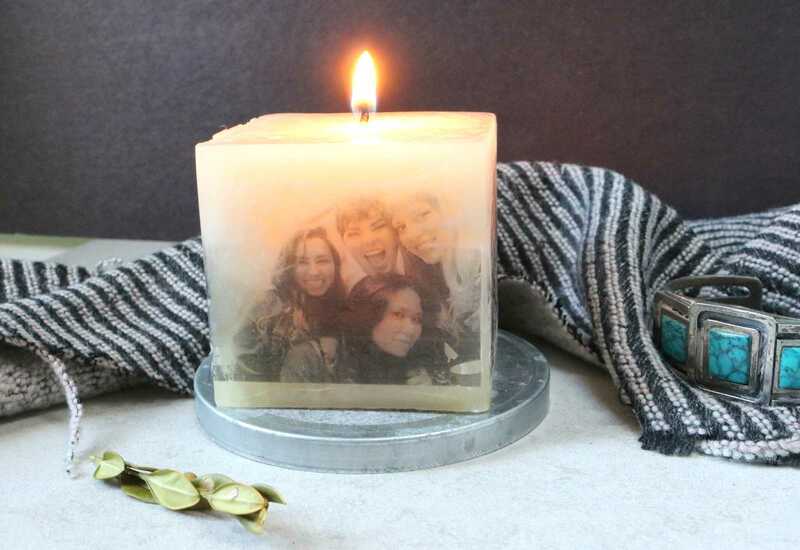 These photo candles are the perfect example. Originally created by the ladies at A Beautiful Mess for Canon’s influencer program, this DIY combines everything I love in one project. Here’s my own version of the project, with some help from the Canon team. * White tissue paper is often used for candle transfers. I don’t see why other light colors wouldn’t work, though! It could make a pretty awesome visual. As for the candle? 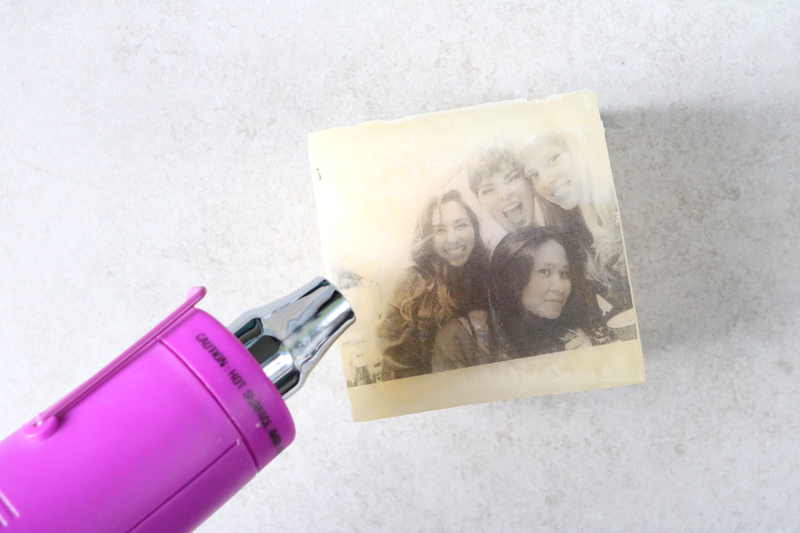 Use one with a dense, smooth surface for the crispest transfer possible. This particular candle was a bit soft; the wax warped the transfer in a few spots when it was heated. 1. Cut a segment of tissue paper a bit smaller than a sheet of cardstock. 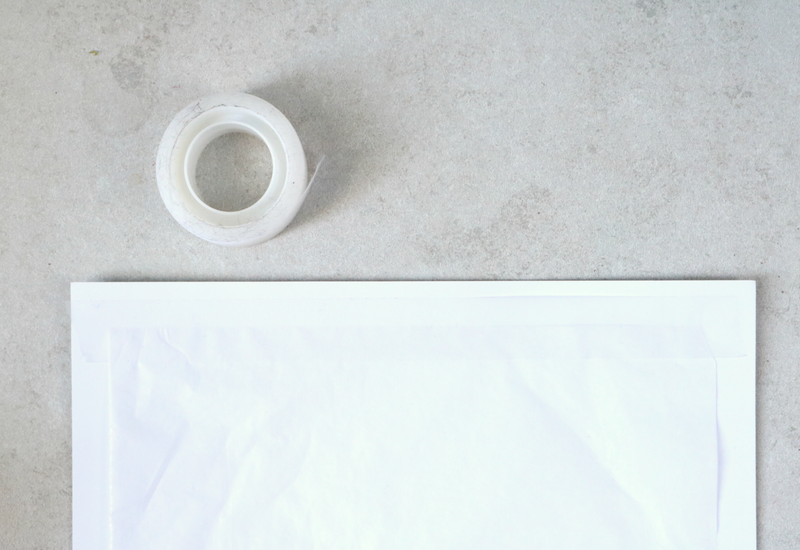 Add a strip of tape to the top and bottom edges; this will prevent the tissue paper from jamming up the printer. You can also add a few strips to the left and right sides. 2. Crop and re-size your photos as necessary. For this four-sided candle, I copied and pasted my photo six times into a Word document. I always print extra just in case. 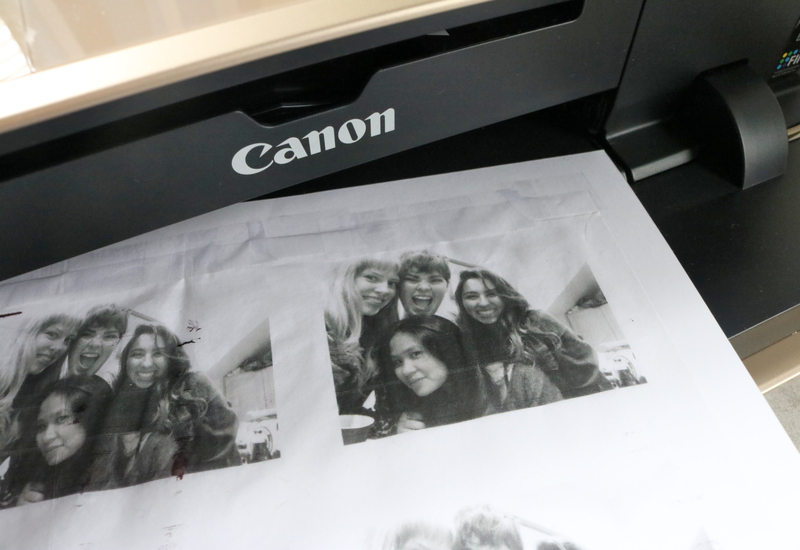 Luckily, the Canon Pixma MG7720 printed them just fine. The tape didn’t cause any paper jams, either… thank goodness. 3. Cut through both layers. The support of the cardstock will make it easier to properly cut the tissue paper. 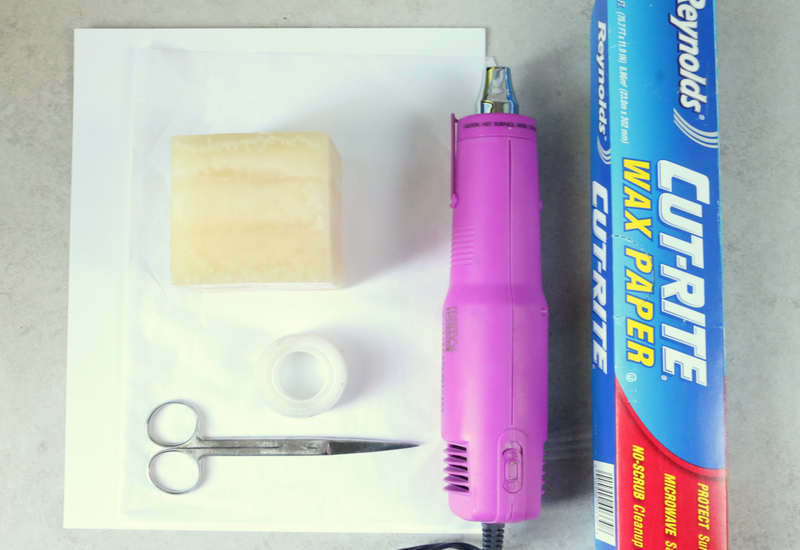 Tightly wrap wax paper around the transfer and candle. Apply heat until the entire image is transfers. You’ll be able to see the wax melting. Don’t hover over one spot for too long, though — softer candles may begin to melt and drip hot wax. Instead, move around consistently and evenly. 5. 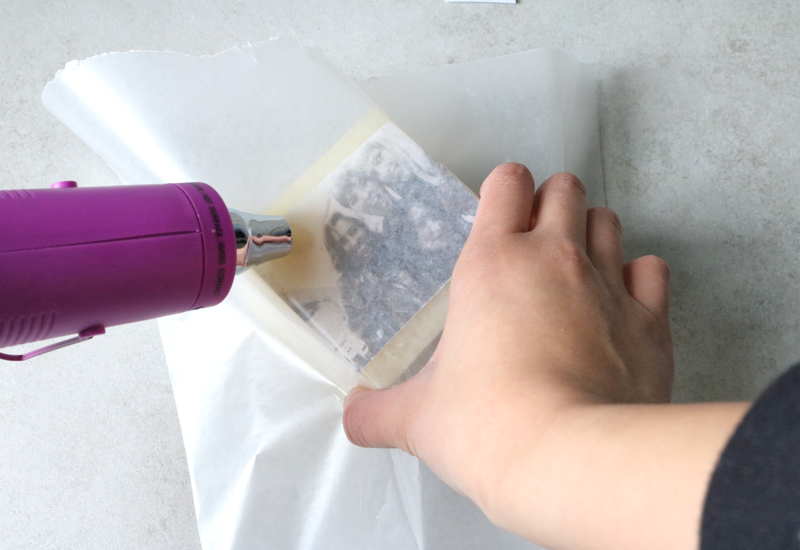 Carefully peel away the wax paper to reveal the transfer. Give the image another wash of heat to even things out. Repeat on each side of the candle, if you’d like. I’m obsessed with this ridiculously easy decor project. They double as awesome housewarming or holiday gifts, too. Don’t forget to check out the hash tag #craftywithcanon on Instagram to see what other creatives are making. FTC Disclaimer: Craft supplies, Canon PIXMA MG7720, and Canon EOS Rebel T6i DSLR Camera Kit provided by Canon and Golin. All thoughts and opinions are my own; I only collaborate with and feature companies that I truly support. Thank you, Canon!